Strange Invisible Perfumes had always been one of those brands I had seen and passed over on Spirit Beauty Lounge and NuboNau because 1) I was not really into perfumes, 2) I was not really into perfumes at such a price, 3) I was not really into perfumes at such a price when I hadn’t the faintest clue what they smelled like on my skin. So it was a blessing to banter with SIP at A Night for Green Beauty, get recommendations from a handsome Australian fellow, and walk around smelling like an intoxicating jasmine flower sipping mimosas. By the end of the night, a 15ml Fair Verona was purchased and in my bag of swag. 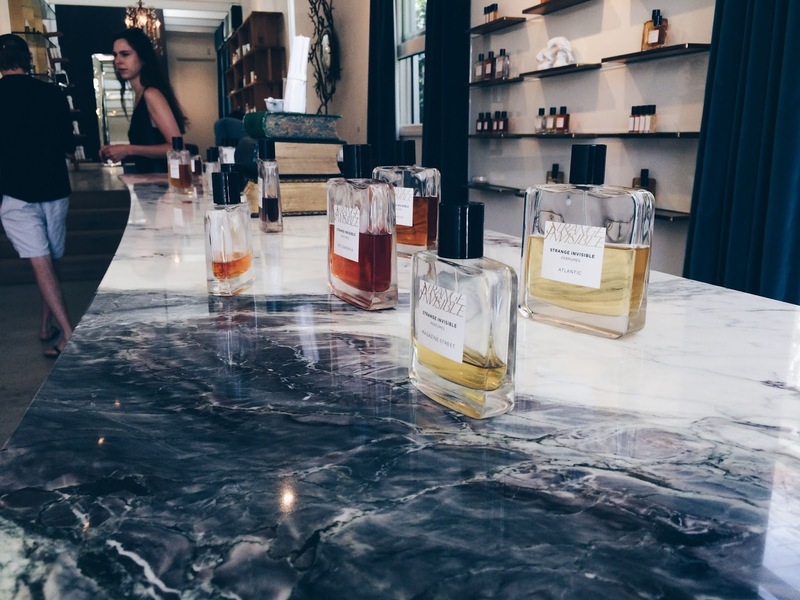 Having perfumed myself out the night before, I wasn’t expecting to spend too much time at their brick-and-mortar store in Venice the morning after–just to take a peek around their apothecary and gaze lovingly at their beautiful perfumes. 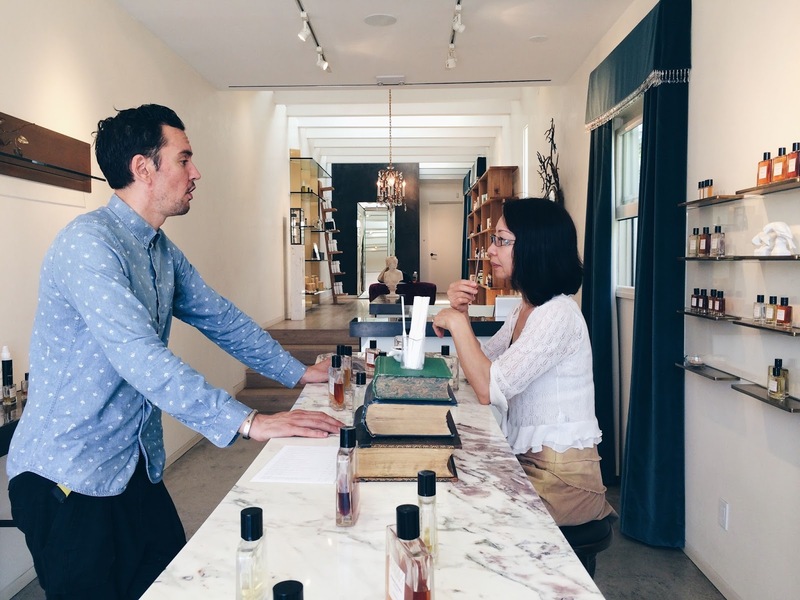 And then my mother and I spent most of the morning and afternoon talking with Patrick, getting my mum perfume matched, and falling over their beautifully curated apothecary. Of course I had to spritz some Fair Verona upon coming in. *swoon. Love this so much. Fun fact: Patrick is a jazz pianist and Mozart greets you when you walk into the store. Beautiful wall of giant, standard, and mini perfumes. Truth: This is one of the very few places (probably the only!) 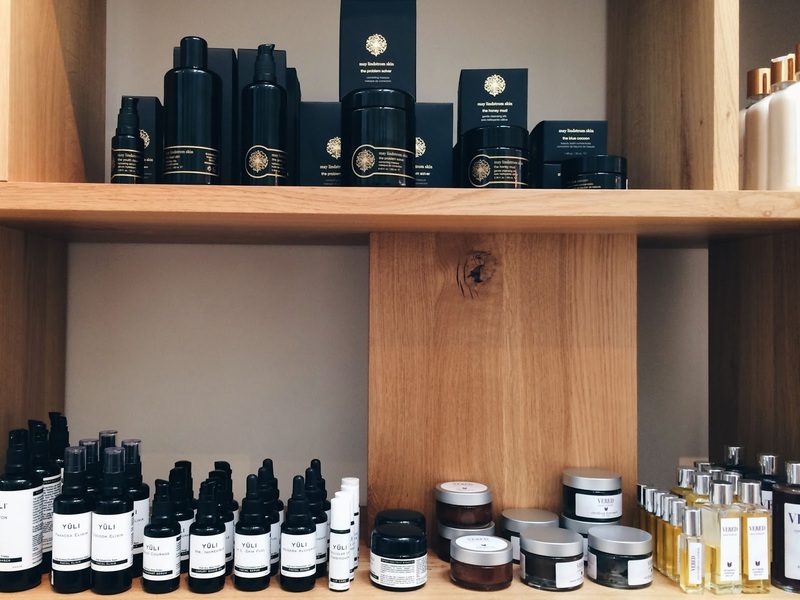 where you can see May Lindstrom, YÜLI Skincare, AND Vered Botanicals in the same place. I mentally blew kisses at some favorites (ML Problem Solver, YÜLI Halcyon, YÜLI Cocoon, YÜLI M.E. Skin Fuel, YÜLI Pure, Vered Herb-Infused Toner, and Vered Therapeutic Balancing Oil) and peeked at a few I haven’t tried yet. 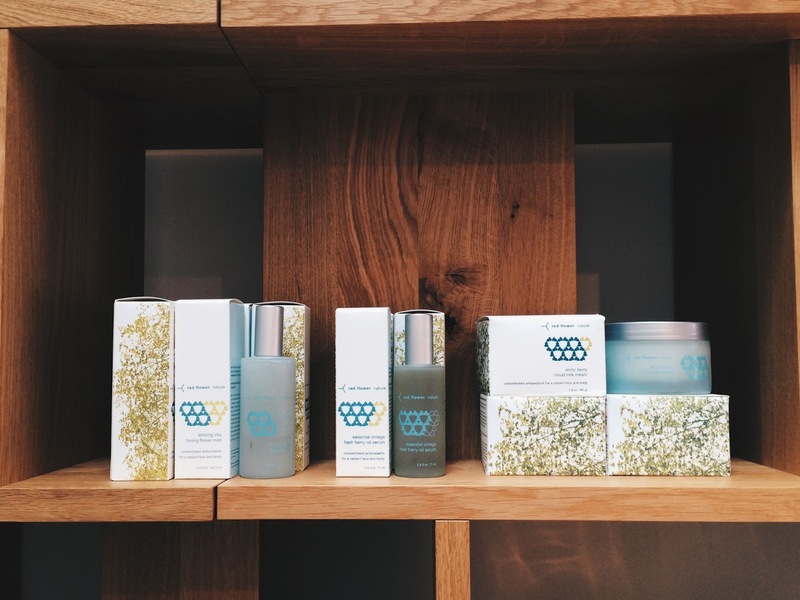 I tried some of YÜLI’s Cellular Lip Conditioner on the back of my hand (have heard great things about this), looked at Vered’s masks, looked at May Lindstrom’s Honey Mud and thank goodness I was full or I could have eaten it, and tried to smell YÜLI’s Mr. Incredible but I couldn’t find a tester. Hello Alexis Smart Flower Remedies in the flesh! I have only started getting into flower remedies (partly inspired by Katey Denno’s story and trip) and attempted taking Ganesh last semester in an effort to enhance confidence, but I didn’t take it as consistently as I should have (my fault). 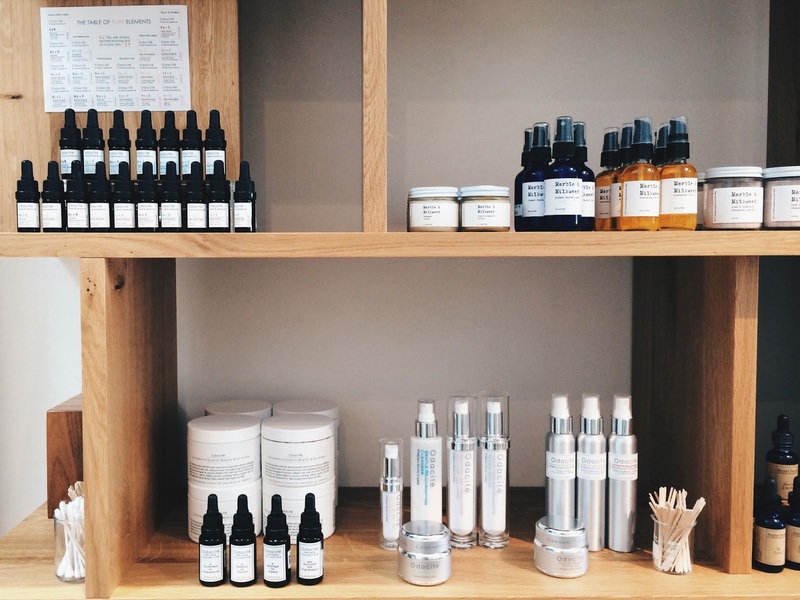 Amala is another line I have seen and tried samples-with-orders of via Spirit Beauty Lounge, but haven’t purchased. As Patrick told me, Amala is a spa line that actually uses the essential oils that SIP extracts which makes it very easy for them to carry Amala in their store. In addition, they have great clinical results and several dedicated lines such as one to brighten, another to purify, and another to rejuvenate. Marble & Milkweed on the other hand, as Patrick told me, are totally opposite of Amala. They are very simple, but very organic, natural, and made in small batches in NY. 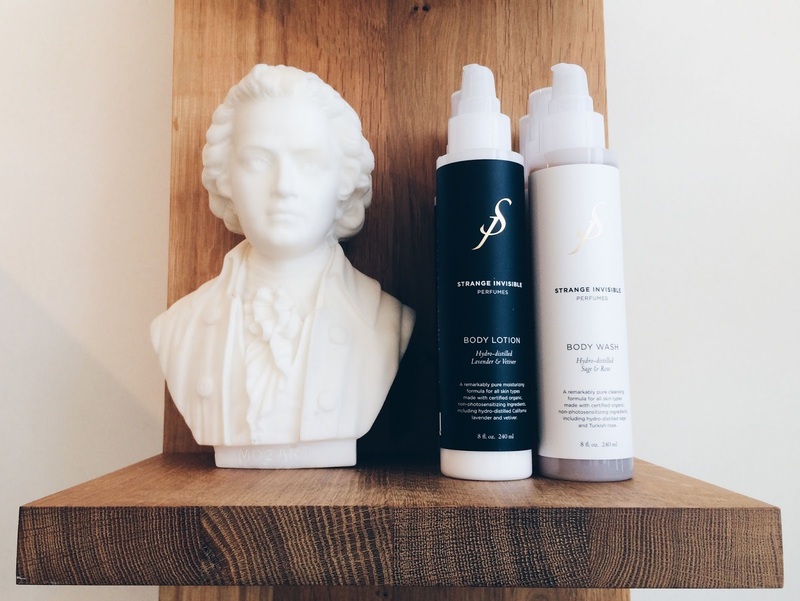 Patrick particularly pointed out their woodsy toner (which I tried a spritz of–it’s super woodsy) and sang praise for the cleansing grains. I was happy to see a recent love, Odacité, in full force. 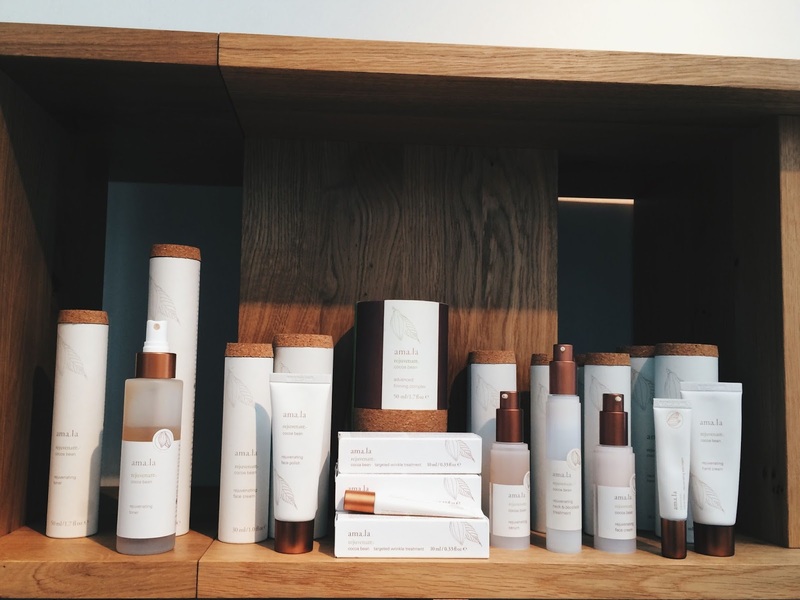 I have been loving their Pure Elements line, lusting after their Private Collection, and enjoying their cleanser, exfoliant, and toners. Red Flower is another brand I have heard much about for their aromatherapy but have never tried. Patrick loves the rose serum and told us a bit about the arctic berry that is featured in several of their products. It is obtained from the arctic tundra and has an abundance of antioxidants, anti-inflammatory properties, and biomedical functions due to their growing conditions (sun and frost all the time!). We tried some of the rose serum on the back of our hands, which was lovely and quite rosy, and took a peek at the arctic berry cloud milk cream–it can be used for face and body, and has a soft, light texture. For fun, I asked Patrick if he could perfume-match my mum, who at first dothly protested she was not a perfume wearer, but then gracefully acquiesced (can you tell I am watching the Tudors). After listening to her general likes and dislikes (respectfully and generally, simple scents and heavy scents), Patrick had her try many of the perfumes on paper, a couple spritzes of each. They were all very strong at first, so he had her smell one first, set the paper aside, and reset her olfactories with coffee beans, before trying another one. While my mum tried out perfumes, I romped around the store (which is very rompable) and tried out the body lotions on my parched legs (curse you, dry California!). 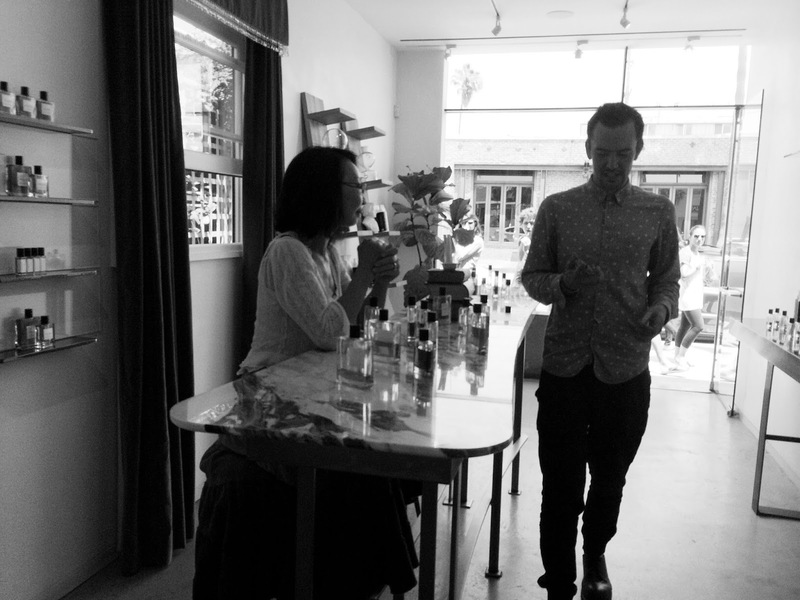 They felt very nourishing and had more subtle scents than the perfumes–I pretty much liked them all. There are three ways of typically extracting essential oils and those are: steaming, pressing, and hydro-distillation. Steaming is inexpensive, pressing is damaging to the plant, and hydro-distillation is more expensive, but the best way to go about it. It is gentle and captures the “the complete aromatic profile of the plant, including the fine aroma chemicals that cannot be captured with steam distillation”, according to SIP’s website (source and further evidence here). 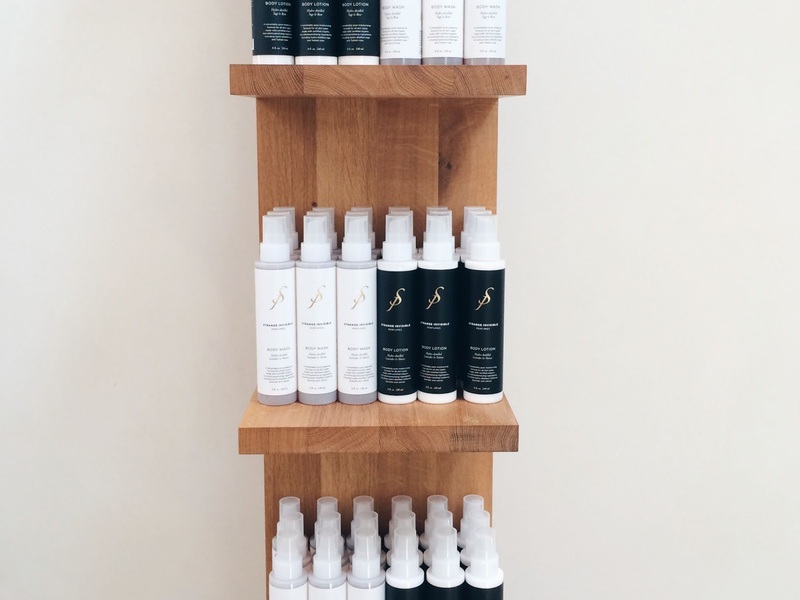 What’s great is that SIP uses the hydrosols leftover from the hydro-distillation process in their other products, such as their body lotions and (don’t tell anyone) their possibly upcoming toner (?!). My mom ended up purchasing a mini of her top #1, Aquarian Rose, a very elegant rose which I think suits her well, and Patrick graciously gave her a tiny samples of her #2 and #3 (which are slowly becoming my #2 and #3 as well). She asked Patrick a couple of questions while he rung us up. No, he told us. Department stores want a lot of markup, and that is not feasible for SIP especially if they want to preserve integrity–which is what the founder wants to do. They are not willing to stoop to inexpensive distilling processes. The perfumes are indeed expensive, but honestly there isn’t much mark-up. 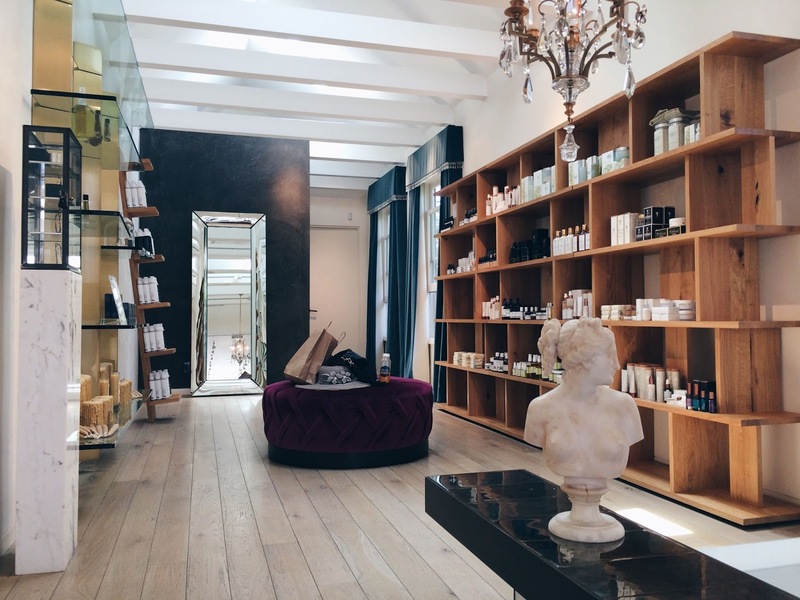 While SIP is still not the most budget-friendly of products, I walked away impressed with the level of integrity in their apothecary and in their own line of perfumes, body lotions, and body washes. They are very selective with what they carry, and I have no doubt their perfumes are a top-notch product which ingredients that are not going to confuse my hormones, unlike the perfumes you can easily find for cheaper in the department stores today. 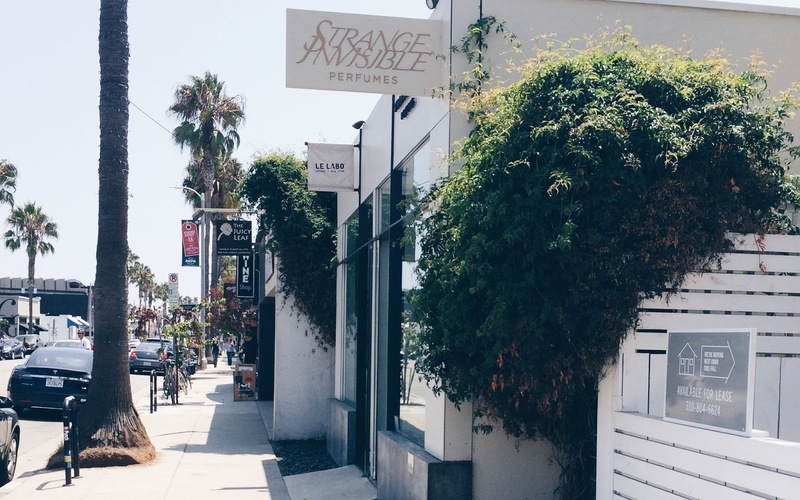 Patrick was charming and a joy to chat with–if you’re ever in Venice, LA, I absolutely recommend a walk to Strange Invisible Perfumes. 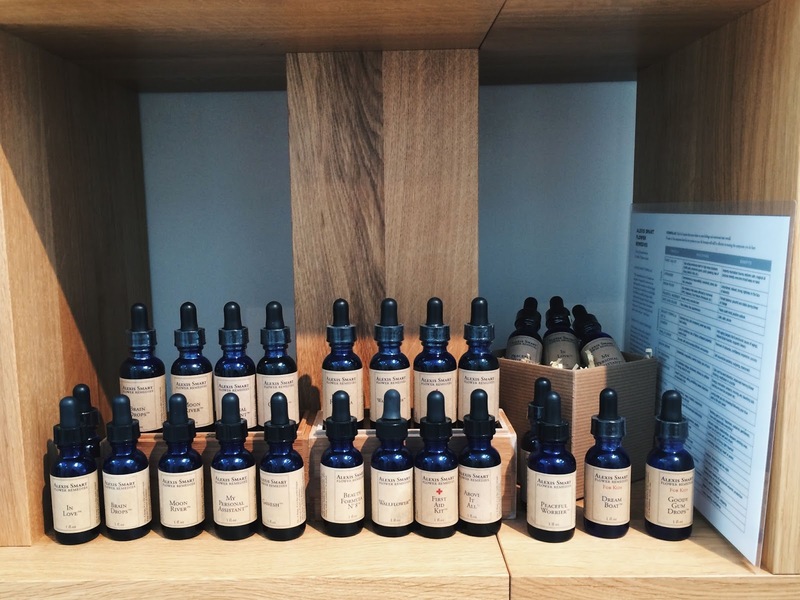 If a physical visit is not feasible, Spirit Beauty Lounge offers samples of their perfumes, via samples-with-orders or in their sample pack. When I smelled all of the perfumes at ANFGB, my initial reaction was these are all beautiful (and have beautiful colors), but they are way too strong for me. The other Aussie fellow at the SIP table recommended I try it on my skin, walk around a bit, and then make my judgement. I couldn’t stop sniffing my wrist (and asking other people to sniff too) that whole night. Try it on your skin and consider the processes by which it came about before turning up your nose at the price (and then begin to weep for your wallet). tl;dr All thoughts and opinions are my own, except for paraphrased content from Patrick and my mum. I have attempted to preserve content gathered from Patrick as best as I could. I was not compensated in any manner for my words. 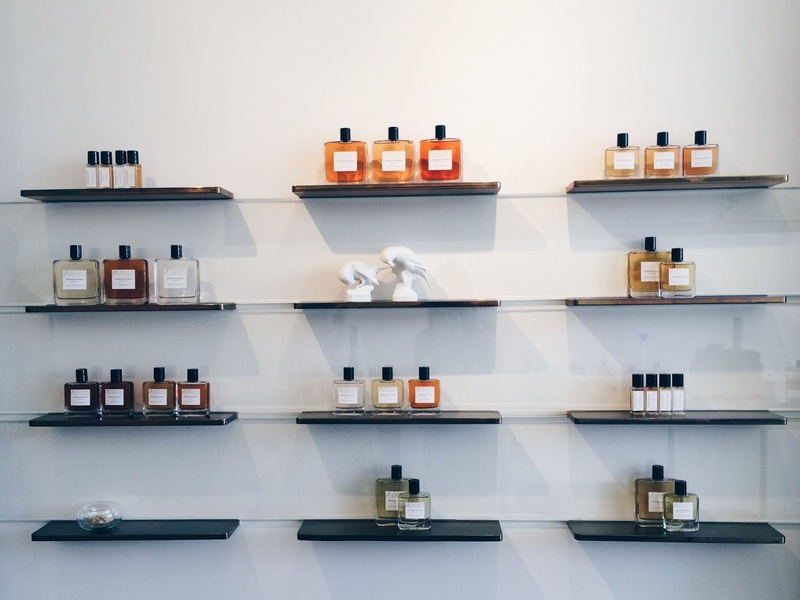 Have you visited Strange Invisible Perfumes in Venice? If not, would you, and what would you pick up? I can't believe I skipped this place last time I was in LA! 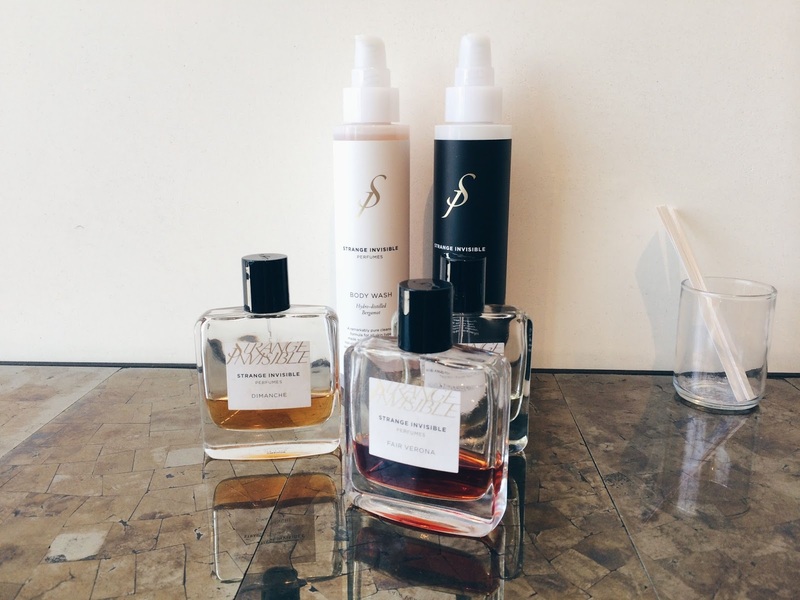 I've been meaning to check out their perfumes due to all I've read about how pure their oils are. Doubly sad that I didn't experience their curated beauty selection, had no idea they had all those brands and I seriously am to obsessed with YULI for a line that I have not yet even tried! Just everything about it makes me want something of theirs right now but I don't know what so trying in person would be the perfect way to figure it out! This store sounds like paradise, the lines they carry, their own products and the thoughts of the owner all sound wonderful. Thanks for taking us along on your visit. Sounds amazing! I would love to try Magazine Street! Sounds lovely! I've never been into perfume, but I love essential oils and you've totally piqued my interest. If I'm ever in LA…. OMG you always make beautiful trip! Next trip to LA, i wanna go there! Glad to hear you have many faves at the SIP store 🙂 –hope you will get a chance to check out SIP yourself and try Fair Verona soon. I'm so in love with it! Jade, this was such a nice read! I hope I get to make it to the store one day soon. I still have some samples of SIP I have yet to try and now you've inspired me to bring them out 🙂 Thanks for sharing about your visit, looks like it was a green beauty dream!